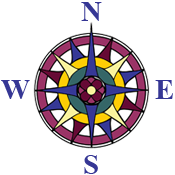 Second quarter Compass classes begin this week on Wednesday, October 31, and it is not too late to join us! Last minute, same day, walk-in, and late registrations are welcome! There are still openings in several dozen classes for homeschooled students in K through 12th grade. A few classes that have been closed for months have last minute openings, so please check again. If you see a class available online, you can still register and come to class Wednesday.